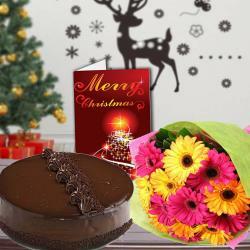 Product Consists : Bouquet of 15 Yellow and Pink colour Gerberas in a tissue wrapping, Cadbury Celebration Chocolate Box (Weight : 118 gms) along with Christmas Greeting Card. Cadbury manufactures chocolates that are Worth to drool for. The chocolates are so thoughtfully blended that they magically melt in the mouth. 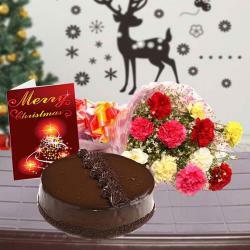 A bundle of such luscious chocolates is presented in this hamper here in the form of Cadbury Celebrations chocolate box. 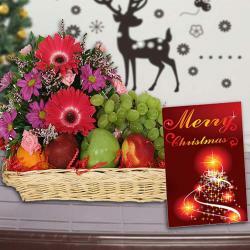 Along with chocolates, we also have a bunch of splendid Gerberas in yellow and pink colour and Christmas greeting card. 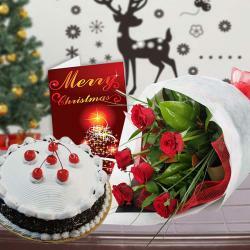 Surprise anyone on Christmas with this spectacular hamper. 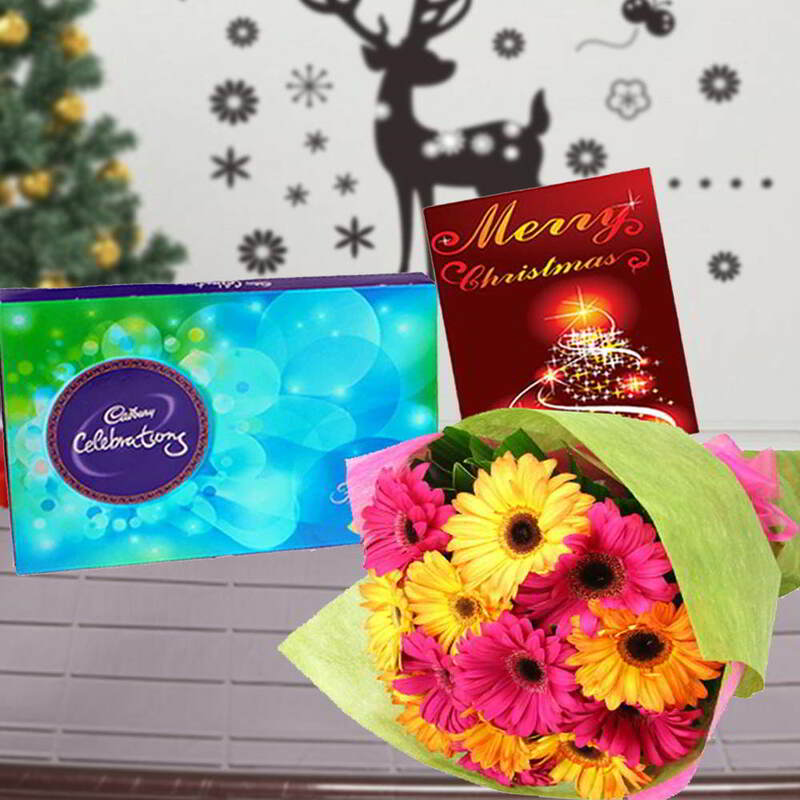 Product Consists : Bouquet of 15 Yellow and Pink colour Gerberas in a tissue wrapping, Cadbury Celebration Chocolate Box (Weight : 118 gms) along with Christmas Greeting Card.